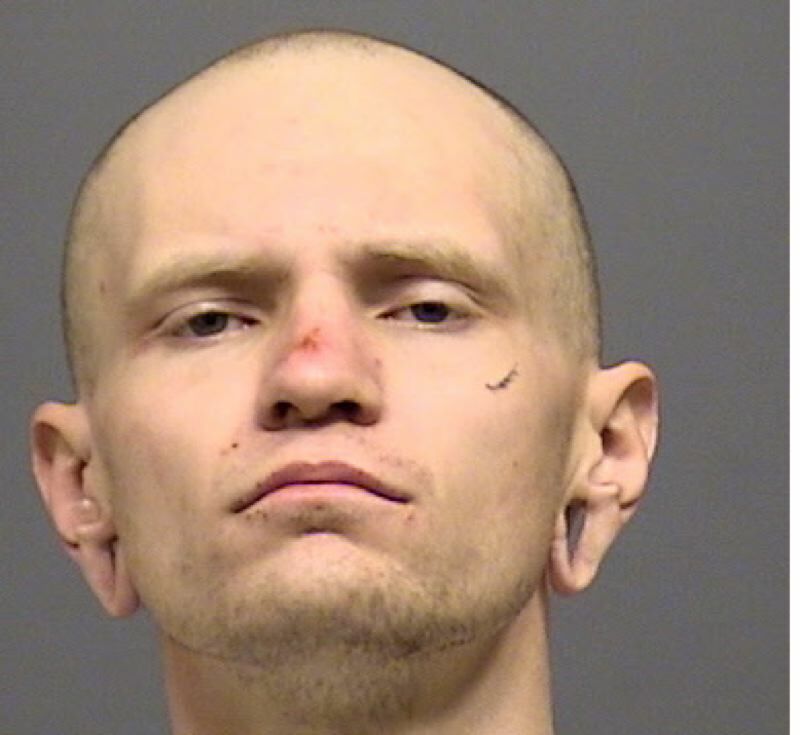 A man is in custody after Clackamas County deputies said he attacked another man with a machete Wednesday afternoon. Deputies located suspect Timothy D. Crawford, 24, several blocks to the north of a Jennings Lodge crash scene and detained him. Crawford, whom deputies described as a transient, was found to be in possession of a .45-caliber handgun. Deputies initially responded to reports that a man had been shot, but arrived to the scene at Rose Street and Jennings Avenue to find a man with "fairly severe wounds" from a machete and a Toyota 4Runner crashed into a tree. "I heard a loud boom and I came running out front and looked out the window and saw a car halfway in my yard," Jennifer McKenney told KOIN 6 News. Clackamas County Sgt. Brian Jensen said Troy D. Anderson, 27, of Milwaukie drove the Toyota through a fence and into a tree in the front yard of a residence. According to the police report, Anderson then exited his car and ran several blocks from the crash scene while bleeding profusely from his head and with a "substantial injury" to his hand. Anderson was transported to a local hospital to treat his severe injuries. Jensen said the men fled in different directions after the altercation. Deputies believe the men know each other, but it's unclear what led to the altercation. Crawford is being held in Clackamas County Jail on charges including felon in possession of a firearm, unlawful use of a weapon, first-degree assault and attempted murder. Bail was set at $320,000.